(September 30, 1920 – 1995) was a Chinese writer. She had also used the pseudonym Liang Jing, which is almost unknown. Her works frequently deal with the tensions between men and women in love, and are considered by some scholars to be among the best Chinese literature of the period. Chang's work describing life in 1940s Shanghai and occupied Hong Kong is remarkable in its focus on everyday life and the absence of the political subtext which characterized many other writers of the period. Born in Shanghai on September 30, 1920, to a renowned family, Eileen Chang's paternal grandfather Zhang Peilun was a son-in-law to Li Hongzhang, an influential Qing court official. Chang was named Zhang Ying at birth. Her family moved to Tianjin in 1922, where she started school at the age of four. When Chang was five, her birth mother went to the United Kingdom after her father took in a concubine. Chang's father became addicted to opium. Although Chang's mother did return four years later, following her husband's promise to quit the drug and split with the concubine, a divorce could not be averted. Chang's unhappy childhood in the broken family probably gave her later works their pessimistic overtone. The family moved back to Shanghai in 1928. She started to read Dream of the Red Chamber. Two years later, Chang was renamed Eileen (her Chinese first name, Ailing, was actually a transliteration of Eileen) in preparation for her entry into the Saint Maria Girls' School and her parents divorced. In 1932, she wrote her debut short novel. During her secondary education, Chang was already deemed a genius in literature. Her writings were published in the school magazine. In 1939, she was accepted into the University of Hong Kong to study Literature. She also received a scholarship to study in the University of London, though the opportunity had to be given up due to the ongoing Pacific War. Hong Kong fell to the Empire of Japan on December 25, 1941. The Japanese Occupation of Hong Kong would last until 1945. 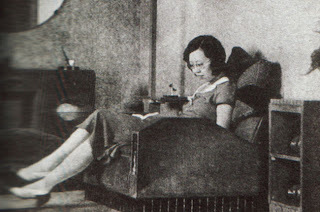 Chang had left occupied Hong Kong for her native Shanghai. She fed herself with what she was best at - writing. 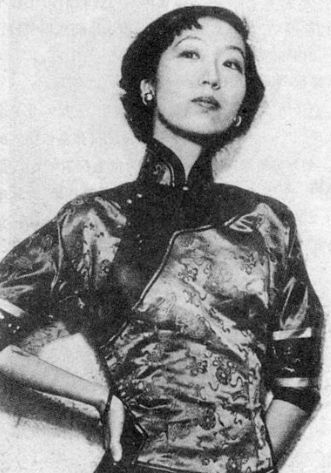 It was during this period when some of her most acclaimed works, including Qing Cheng Zhi Lian and Jin Suo Ji, were penned. Chang met her first husband Hu Lancheng in 1943 and married him in the following year. She loved him dearly, despite his being already married as well as labeled a traitor for collaborating with the Japanese. When Japan was defeated in 1945, Hu escaped to Wenzhou, where he fell in love with yet another woman. When Chang traced him to his refuge, she realized she could not salvage the marriage. They finally divorced in 1947. In 1952, Chang migrated back to Hong Kong, where she worked as a translator for the American News Agency for three years. She then left for the United States in the fall of 1955, never to return to Mainland China again. In New York, Chang met her second husband, the American scriptwriter Ferdinand Reyer, whom she married in August 1956. Reyer was paralyzed after he was hit by strokes in 1961, while Chang was on a trip to Taiwan, and eventually died in 1967. After Reyer's death, Chang held short-term jobs at Radcliffe College and UC Berkeley. Chang relocated to Los Angeles in 1973. Two years later, she completed the English translation of The Sing-song Girls of Shanghai, a celebrated Qing novel in the Wu dialect by Han Bangqing (1856-1894). She became increasingly reclusive in her later years. Chang was found dead in her apartment on September 8, 1995, by her Iranian-American landlord. Her death certificate states the immediate cause of her death to be Arteriosclerotic Cardiovascular Disease (ASCVD). According to her will, she was cremated without any open funeral and her ashes were released to the Pacific Ocean. Naked Earth Hong Kong: Union Press, 1956.